Come Grow Your Own Garden! 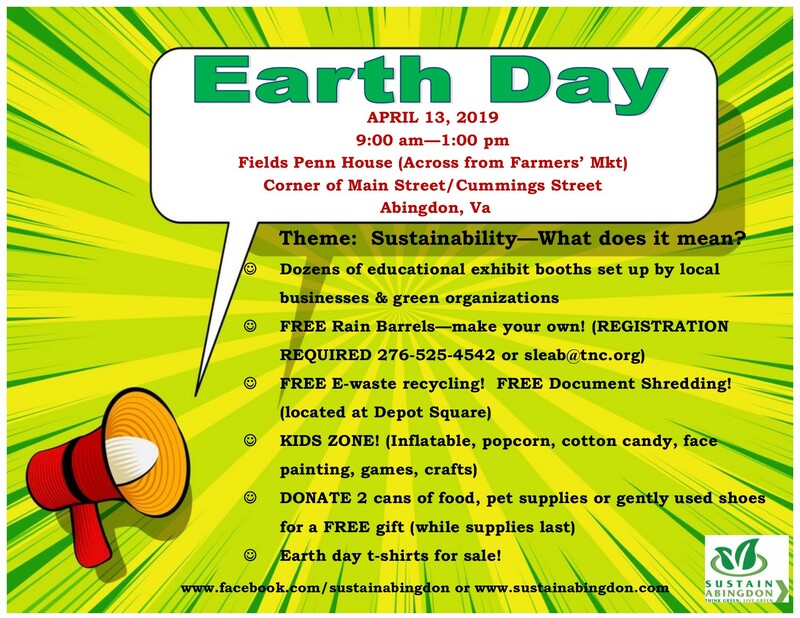 The Town of Abingdon’s Sustain Abingdon Committee and Appalachian Sustainable Development will hold a Garden Kickoff Day at the Sustain Abingdon Gardens on Saturday, March 23rd from 11:00 am to 2:00 pm at the Fairview Historic Homestead, 908 Hillman Highway, Abingdon, Va. The Sustain Abingdon Gardens is a “grow your own” community garden space where residents of Washington County, VA can rent a 20’ by 20’ vegetable garden plot for $25 for the spring/summer growing season. The Old Glade Antique Tractor Association provides tilling services and there is an elaborate rain water collection system onsite that provides water access for the gardeners. Several businesses and organizations will be sharing information and ideas on how to grow your best garden. There will be guest speakers throughout the day speaking on various garden topics. There will also be informational handouts, activities and free raffles and giveaways. The Fairview Historic Museum will be open to the public and the Old Glade Antique Tractor Association will have some tractors on display. There will be food vendors onsite. The event is free of charge and open to the public. For more information, visit our Facebook page at www.facebook.com/sustainabingdon or call 276-628-3167. *Sustain Abingdon’s mission is to advise and encourage Town employees, residents & visitors on environmentally sustainable solutions. Appalachian Sustainable Development (ASD) is nationally knows & respected for its commitment to local farmers. ASD is transitioning Appalachia to a more resilient economy & a healthier population by supporting local agriculture, exploring new economic opportunities and connecting people with healthy food. We have a date! Saturday, April 13, 2019 is officially the day of our Earth Day Celebration. It will be held at the Fields Penn House (across from the Farmers’ Market) from 9:00 am – 1:00 pm. This year’s theme will be Sustainability: What Does It Mean? There will be dozens of educational exhibit booths set up by local businesses & green organizations. You can also register to make and take your very own rain barrel! Call or email Sherrie Leab @276-525-4542 (sleab@tnc.org). Barrels are limited! 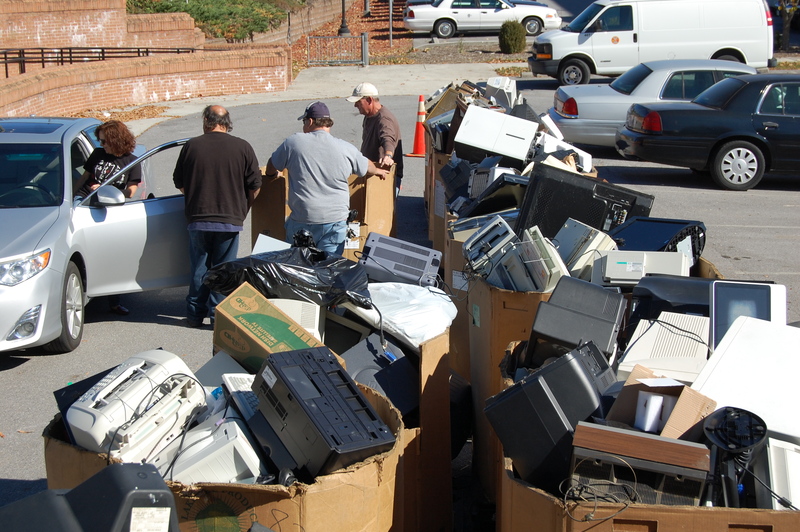 Free E-waste recycling/Free Document shredding. Kids Zone with an inflatable slide, popcorn, cotton candy, games and face painting! Kids trash to treasure! Earth Day t-shirts and caps for sale! Food vendors on site! 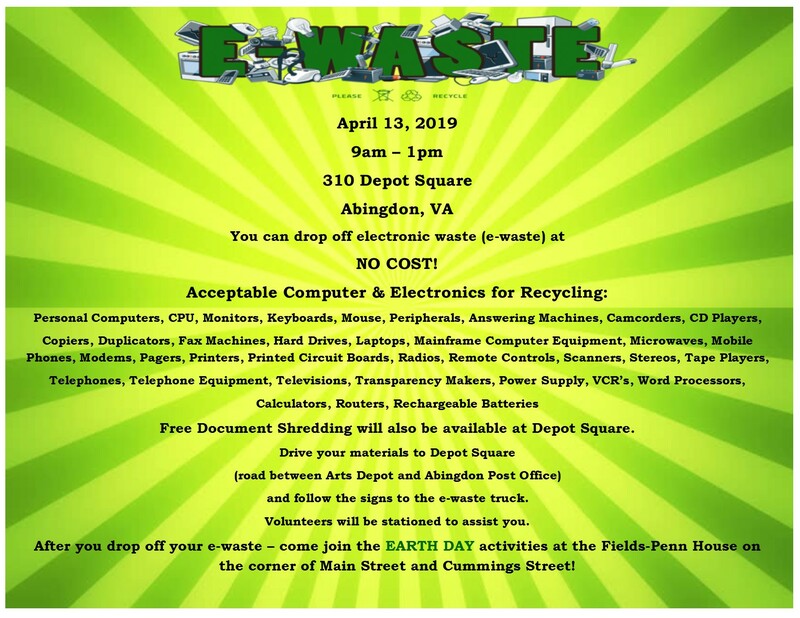 See the 2019 Flyer here and learn more about the ewaste click here. Did you know that the Town of Abingdon has two Blue Recycling Trailers ready for you to use? They are located at the Police Department and Coomes Recreation Center. You can recycle all paper, cardboard (please break down cardboard), #1 and #2 plastics, aluminum, metal/bimetal cans. You can also sign up for curbside recycling. Curbside recycling is available to town residents on the same day as roll-out trash cart service. You can get a curbside recycling bin by calling the Town Shop. 276-628-2361. Curbside recycling allows you to recycle all paper, no cardboard, #1 and #2 plastics, aluminum, metal & bimetal cans. Earth Day 2017 – SAVE THE DATE! Mark your calendars for 2017 Earth Day. The event will take place on Saturday, April 22 from 9:00 – 1:00 p.m. The location is the same – Fields Penn House (corner of Cummings Street/Main Street). There will be lots of informational booths, kid’s activities and much more! If you are interested in volunteering to help with the event or would like to sign up to showcase your organization, please send an email to Tom McMullen (mcmullen423@bvu.net). Sustain Abingdon held our 3rd annual America Recycles Day Event on Saturday, November 12. The event was a huge success. The weather was beautiful and many folks came out to recycle, shred or donate. Many, many thanks to everyone that participated and donated!